Said Seraj Mirdamadi has been imprisoned in Iran since May 2014 on charges of threatening national security and propagandizing against the state. His father, Said Hossein Mirdamadi, is the uncle of the Supreme Leader, Ali Khamenei. In this open letter, the unjustly imprisoned’s father asks how Khamenei can claim to show generosity to the confined, and yet attack them at every opportunity. He asks if the Supreme Leader has given political prisoners even one chance, one toehold, one microphone, one hearing so that they might defend themselves. Such sentiments from Mr. Khamenei are right and proper; founded on the inviolability of the rights of peaceable speech in Saudi Arabia, they bear precisely the same meaning inside the Islamic Republic for the great mass of political prisoners, prisoners of conscience, and journalists who find themselves under pressure. There are those who for years have been locked away in the prisons of the Islamic Republic for such offenses as open criticism, enjoining good and forbidding evil in the face of nationalist extremism and patriotic zealotry; for offering advice for the improvement of the Muslim faith (in the words of Imam Ali) they have been reined in, their mouths shown shut. They are people who have seen injustice, nigh most of whom have neither provoked people to arms nor spun plots and conspiracies against the regime, either openly or in secret. Nonetheless the legal, intelligence, security, and Sepah apparatuses continue at the Supreme Leader’s bidding to level all sorts of accusations against these pitiable folks for purposes of their own tyrannical agendas: “undermining the regime,” “publishing falsehood,” “conspiracy,” and so on. Meanwhile, some of these unjustly condemned have to their name worthy histories in the service of the revolution, having mobilized and encouraged the people for elections. Our excellent Leader, informed of such injustice, simply ignores it, registering no response other than silence – even while the stories which have come down to us from the Prophet and his house in the purity and chastity of holy Islam inform us that refusing to help a person facing wrongdoing, when such help can be given, is considered collaboration with wrongdoing itself. Here the question is raised: How is that our respected religious authorities have remained silent in the face of so much clear injustice, failing to defend those who have suffered wrong? On the basis of this fine tale we should expect that silence in the face of the injury done by the security apparatus will incur God’s wrath and tribulation. We see that the Saudi regime imprisoned Sheikh Nimr on false charges of being a terrorist; as our own president stated in a letter addressed to the foreign minister of Denmark: “Incarceration is not a way to answer criticism!” On this account we repeat: Prison is no way to answer criticism! Criticism of a government in which two former vice presidents are presently serving jail time for corruption – a bizarre occurrence without precedent in any other state. Criticism of the leader of a government who for ten days sat at home and fumed, concerned so little about meeting the fate of Bani Sadr that he wouldn’t return to work. Imprisoning critics is the greatest kind of tyranny, and jailing internal dissidents is yet another, which «المُلکُ یبقی مَعَ الکُفر ولا یَبقی مَعَ الظُّلم» It is bewildering that interrogators ask of some journalists: “Why is it that you cross our red line by granting interviews with Western media?” Is there even one Iranian statesman, either inside or outside the country, who has not given an interview with Western media? Even Imam Khomeini granted such interviews. It is a “crime” that for years did not land one in prison. To use Khamenei’s language: the unwavering hand of divine vengeance will seize the neck of those powers who force injustice on the captive and oppressed. These righteous expressions you have made concerning the House of Saud’s great crime against Ayatollah Nimr (their incarceration of innocents for the offence of criticism) – do they not also extend to the oppressions of lengthy incarcerations for journalists, prisoners of conscience, and political prisoners? And do they not extend to the illegal house arrest of three true comrades of the revolution, whose only crime has been to criticize the corruption and malfeasance of security officials? Will the people not say that this is a case of the pot calling the kettle black? Which one of these people has taken up arms against the regime, to warrant such tyranny? How has oppression come to be so endemic that even the limited freedoms prescribed for those jailed because of their politics and opinions – their rights by law – are not spared? Why is it that counseling the Muslim faith, the enjoining of good and forbidding of evil – which is the duty of the religious experts, Maraji, and people together – has been suspended, as dread of security forces, brutal rulings, and a stifling atmosphere have intensified in the Islamic Republic of Iran? Do such commands not represent a suspension of divine obligation as well? The enjoining of good and forbidding of evil enjoy such significance that some jurists (the Mu’tazili) regard it a basic principle of religion. Every kind of power, facility, and condition in the country is at your disposal: state broadcasting, media, the judiciary, intelligence services, interior ministry, the Sepah, the armed forces, the mosque lecterns, the Basij, and so on. Why do you not make use of your command to prevent the social and political disorders which manifest themselves in riots, embassies on consulates attacks, attacks on legal assemblies and individual speeches, attacks against the offices of dissident Maraji who enjoin good and forbid evil, the violation of legal freedoms, and harsh and unfair sentencing in the judiciary? Why is it that the country’s seminaries – which have historically remained untouched by material and secular attachments, benefitting only of spirituality, divine relief, the favors of the Imam of the Age, and the stewardship of pious people – are now stained by the presence of the state and security forces? With heavy hearts we now see the classes and offices of high Maraji, those who enjoin good and dissent, defiled by seminarians calling themselves guarantors and protectors of the Guardianship of the Jurist. And yet there is no decisive response from you. Mosques all over the country – which ought exclusively to be strongholds of monotheism in the struggle against all forms of idolatry and status worship, and enjoy rightful freedom from other entanglements – have unfortunately come to such a state that if an Imam leading prayer does not conspicuously name, support, and invoke a particular official (especially the Supreme Leader,) he’ll be expelled from the mosque by the Basij, who then find a more obedient cleric to make use of. Such an affair does not just raise questions of direct idolatry, which such indirect idolatry brings to mind. For example: our neighborhood mosque in Mashhad had for a spell an accomplished and renowned prayer leader who managed to increase the number of young worshippers several fold. By reason of the fact that he invoked “servants of the country” in general and more rarely uttered the name of the Supreme Leader (not to say that he failed to utter it altogether,) he was, despite his popularity among congregants, suddenly dismissed by the Basij. This decision resulted in the dispersal of a great many worshippers, who thereafter did not return to the mosque for prayer. In the universities and centers of higher education, great injustices are done in a stifling atmosphere of censorship where opinions are investigated, rightful freedoms are trampled, and professional security is lacking. An air of hopeless despondency has intensified among the faculty and staff, worse even than at the time of the Shah’s Savak, depriving all of a sense of enthusiasm for their work. Note, in this same course, the sixth section of Imam Khomeini’s Decree of Eight Clauses: “No one has the right the right to enter a house, shop, or place of personal business without informing the owner, either in the name of exposing criminal acts or the commission of sin, for prosecution of surveillance. Nor have they the right to insult a person or commit inhumane or un-Islamic acts, or listen to another’s telephone or audio tape in the name of exposing crime or revealing places of sin. For exposing sin and crime, however great they may be, all of the following are themselves sins and crimes: eavesdropping, searching through people’s secrets, prying into the transgressions of others, and divulging secrets from one person to another. Because some of these represent dissemination of vice and sin, they are great transgressions; any who commit them are culpable and deserving of punishment to the full extent.” In this light we see that in the process of interrogation and punishment none of the aforementioned precepts are honored; thus the majority of issued sentences are tyrannical and unjustified. The impermissibility of violating privacy is among the absolutes of human rights; upon the totality of this point all the Ulama and law experts are of one mind. Now, who among those accused for political reasons – who have had agents storm their residences, their computer cases carried off, and their papers and books rifled through – have enjoyed such security? Mr. Khamenei, sir! You claim to show generosity to the confined and yet attack them unilaterally at every opportunity with words like these: “Why have they not come to regret their actions and give up their work with those who insult Hossein’s Ashura, confirming and defending their global arrogance? I don’t know when and how restitution can be made for such wounds to the body politic. We draw a line at the sedition of 2009.” Have you yet given those detained one chance, one toehold, one microphone, one hearing, so that they might defend themselves, or the opportunity to register their points of view in the free press? It’s a contest in which one side has at its disposal all kinds of opportunity, power, and media, while the other side is captive without any means of self-defense. Adjudicating between parties with such grievous differences between them is painstaking work – a task only to be taken up in a divine court. Mr. Khamenei, sir! Save for God most high, no one – even the exalted prophets and immaculate Imams – is without need of advice, the work of enjoining good and forbidding evil. The sole difference is that the prophets are advised by God. We read his counsel to them in the Qoran: «یا ایها الرسول لایحزنک الذین یسارعون فی الکفر» O, you who are sent by God! Those who hurry down the way of unbelief, declaring with their tongues that they have faith while their hearts are empty, sadden you (Ma’ede 61.) Or consider how to surah continues in chapter 61:وان حکمتَ فاحکم بینهم بالقسط إنَّ اللهَ» یحب المقسطین» If you judge among them, judge fairly, as God loves justice. Thus the Prophet advises the Imams and successors of holy Islam, and the Imam as father advises his children as the Commander of the Faithful advised his sons. Such is the work of advising you – you who are neither God nor a prophet nor an Imam – which has its own place. As they say, great men make great mistakes. At a time when a suffocating social atmosphere is the order of the day, even your great masters and religious experts, anxious about club-wielding thugs, do not dare to counsel you. Your advisers are reduced to furniture in your meetings with heads of state, no purpose to be seen of them. The Council of Expert’s duties amount to rubber stamping and singing praises. On the basis of abundant narratives which emphasize advising all as part of the Muslim faith, and stress the enjoining of good and forbidding of evil as an important part of our obligations (if not the primary part,) when I see the public square empty I sense the duty to bring a few short sentences to Mr. Khamenei’s attention: Dear Mr. Asid Ali! Based on the exalted book which you certainly believe in, «فمن یعمل مثقال ذره خیرا یرهُ ومن یعمل مثقال ذرهٍ شرآ یرهُ» All of these judgments afoul of the holy law to which we’ve referred will be accounted yours, for you have assumed supreme leadership. Even if you did not directly order the verdicts and misdeeds, in the court of heaven – which is not far off – you will be made to answer for them one by one, even if such a response takes many thousands of earthly years. In an eye blink your system of power and government will change form and come to an end, as «الملک لایبقی مع الظلم» The examples of this – the passing away of your comrades – will be set by God every day before your eyes as a lesson, so that you might finally learn. Before it grows too late, so long as you have not departed this earth, you must think of atonement. Go before these prisoners, “conspirators,” and those confined to house arrest – those who have seen great injustice – and put an end to such damaging and irreparable waywardness. For short of idolatry nothing is worse and more hateful in the presence of God than the oppression and ensnarement of His servants, injustices from which they have no refuge but for the Almighty. 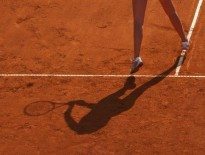 Next Article The Tennis Files: Have top players been paid to lose?